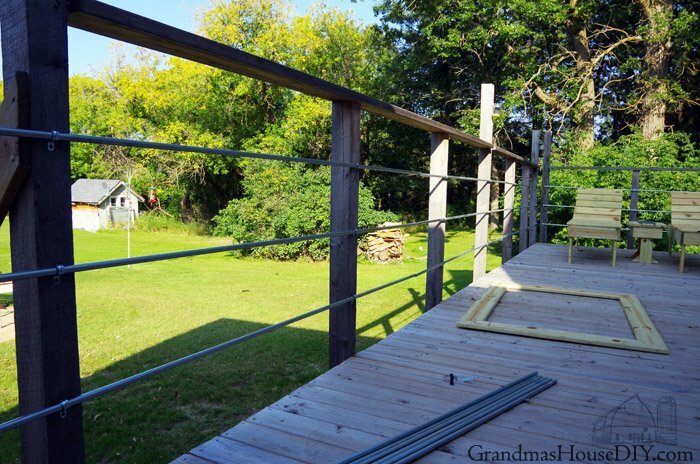 A post on how I built inexpensive deck rails out of steel conduit. 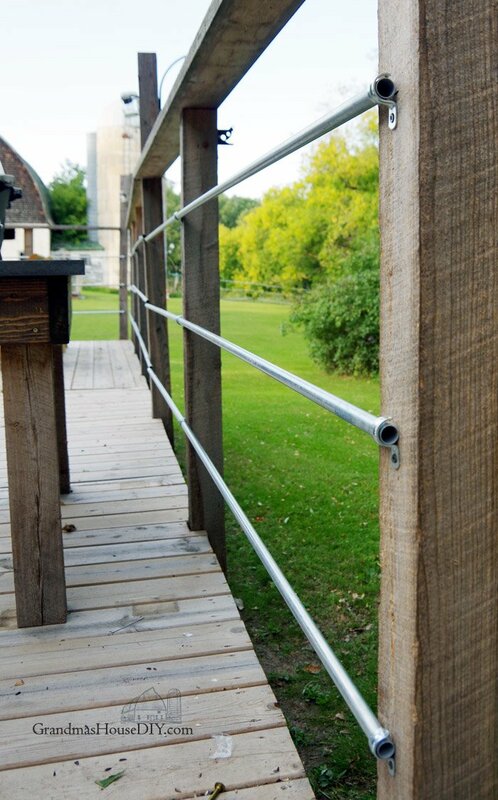 Have you seen the gorgeous steel wire railings that have been populating Pinterest the last couple of years and gaining huge popularity? Well I sure have and I’ve been drooling over them for months and months… at least until I saw the price tag. It was an absolute no go for me, on top of that they do require tightening over time and that kinda bugged me too. 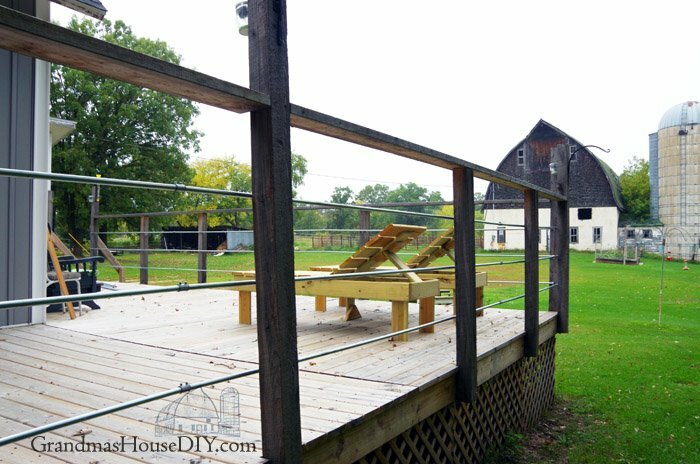 I was leaning toward just wire fencing (yes like hog panels) but that felt a little rough even for me and I would have wanted to frame them out in wood and that would have been labor intensive and costly. 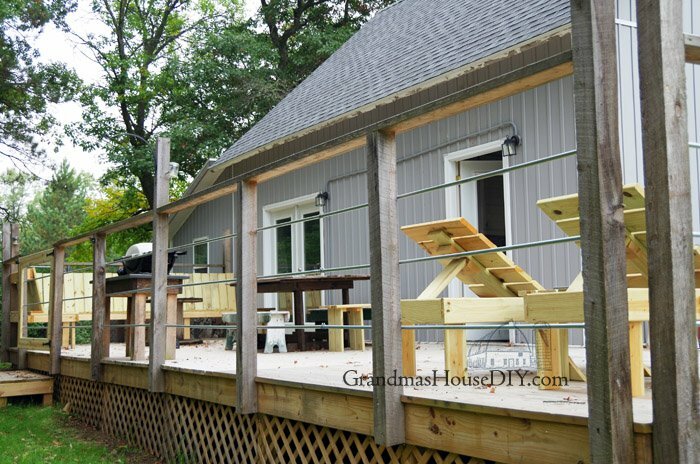 I didn’t want to do the regular spindles for several reasons: the first being I find them kind of boring and the other reason being that, they too, are very labor intensive and expensive when it comes to a deck the size of mine (over 700 square feet!) 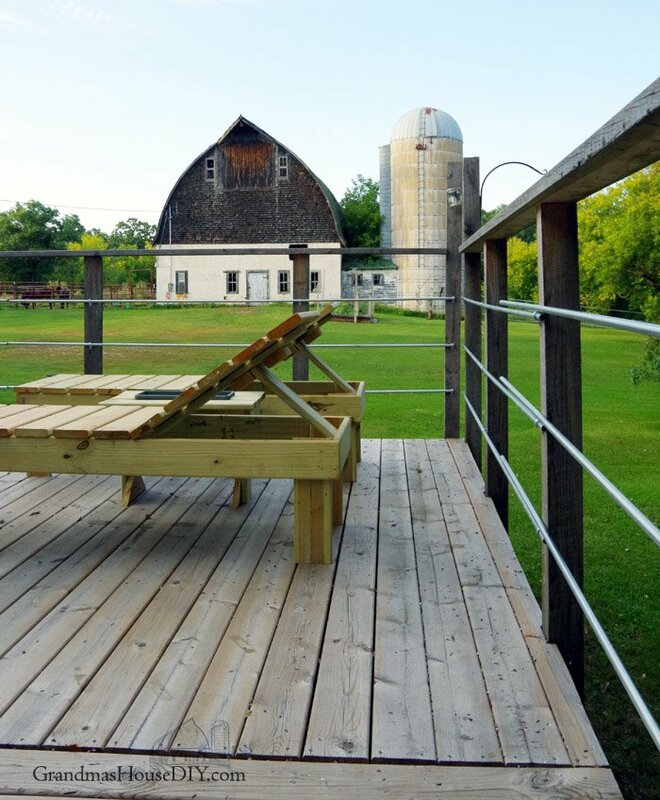 I also really didn’t want to obstruct the view, I wanted to feel like I was sitting in my yard not blocked off from nature which is why I was so drawn to the wire railings to begin with. But I’m definitely going to have dogs in my life so I still needed to have SOMETHING and, universe knows, my deck has looked pretty unfinished while I’ve been working on this dilemma. The light bulb went off one day when I was in the electrical department of my local fleet store and I caught a glimpse of the 1/2″ steel conduit. 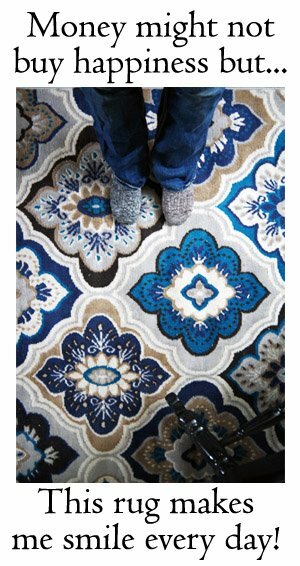 And then I saw the price and my heart literally jumped: at $2.99 for 10 feet this could work! 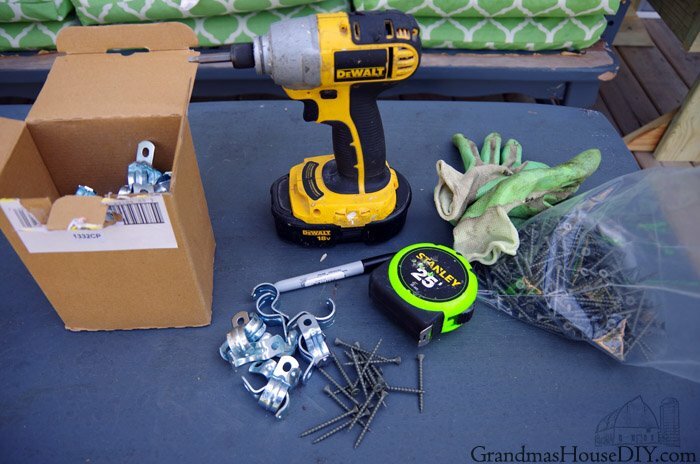 At first I was going to drill through every single post around the whole deck and thread all of the conduit through them. 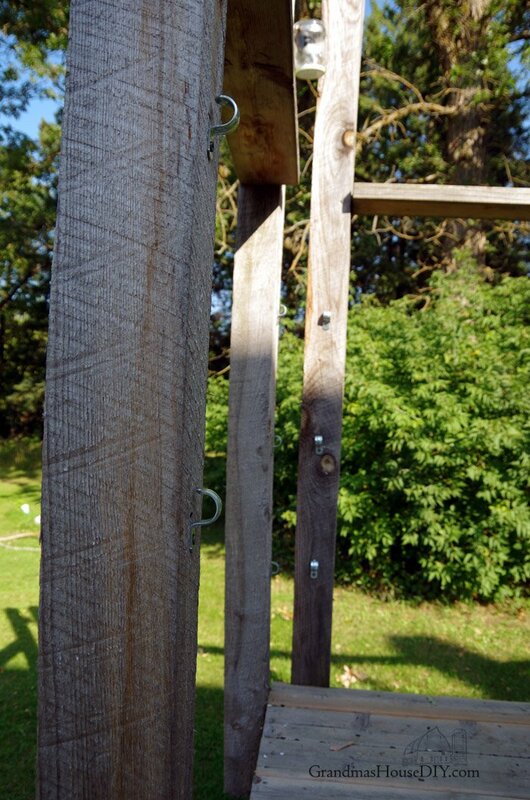 Well, I don’t know about you, but the idea of drilling three holes through my posts really made me wince at how much I would be hurting their structural integrity. I literally had images of them breaking off in my next serious storm. So, no go on the drilling. I saw these steel hole straps on Amazon (at only $10.49 for 100!) and I knew exactly how I was going to do this. I went around the deck first making a mark where each pipe strap would be using a scrap 2×2 that I marked with a magic marker. I put all the straps over my marks leaving the screws a touch loose so it would be easy to thread the pipe through. Once the pipe was in place I just had to tighten them all down. Joe (my now ex husband) cut the pipe using an angle grinder with a steel “blade”. At first I didn’t want any “seams” but these little pipe couplings were small enough that they didn’t bother me. At first I was going to try and have the seams random but once I started adding the pipe I preferred the look of all the seams in the same place. 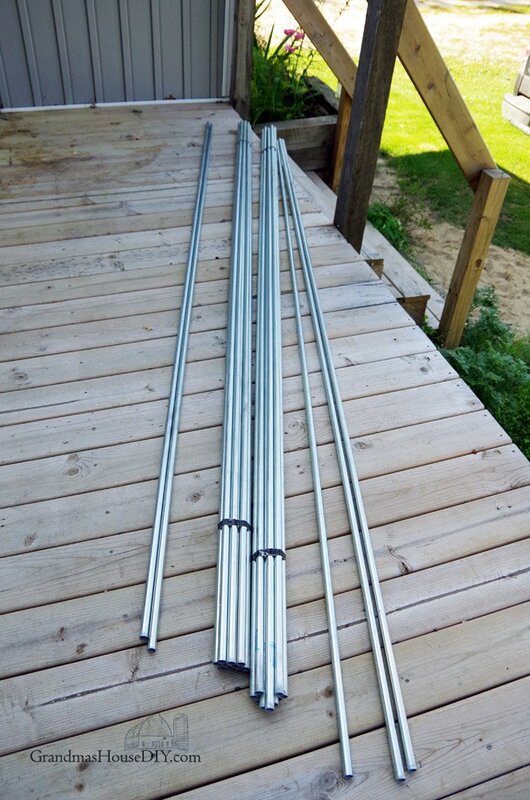 (I did cut the pipe in one place so every single length of pipe I used hit on at least two hole straps.) When I was at this it occurred to me just how versatile this idea is. 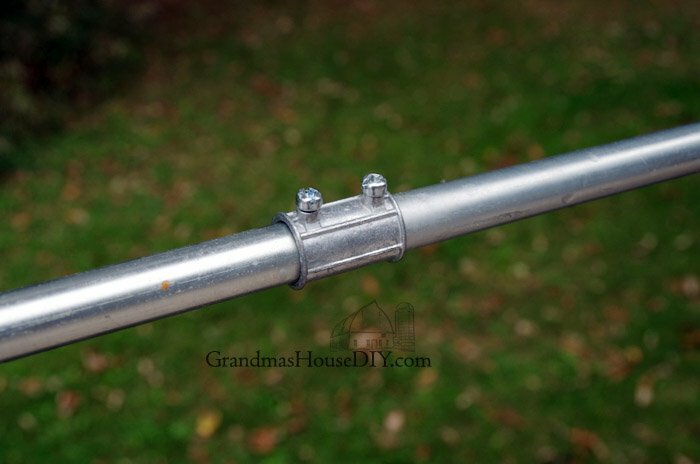 Why not use PVC pipe and spray paint it to look like copper or wrought iron? 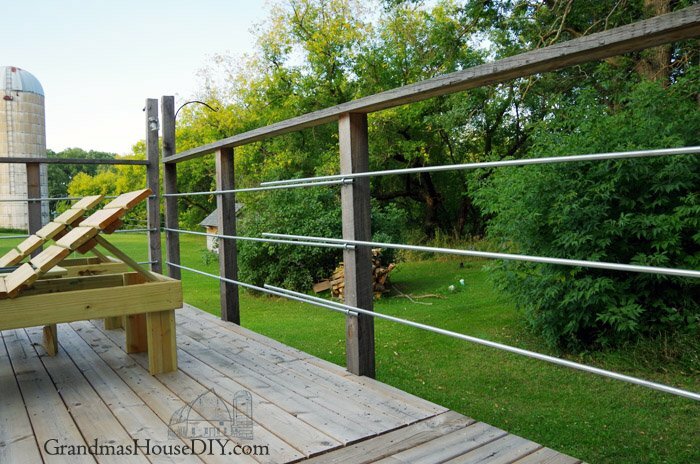 Or you could just literally use copper pipe or galvanized pipe (though the expense would be more) and you could also use big rope here too. Thank you Kathleen, I was so relieved that it turned out! oh MAN i love that! 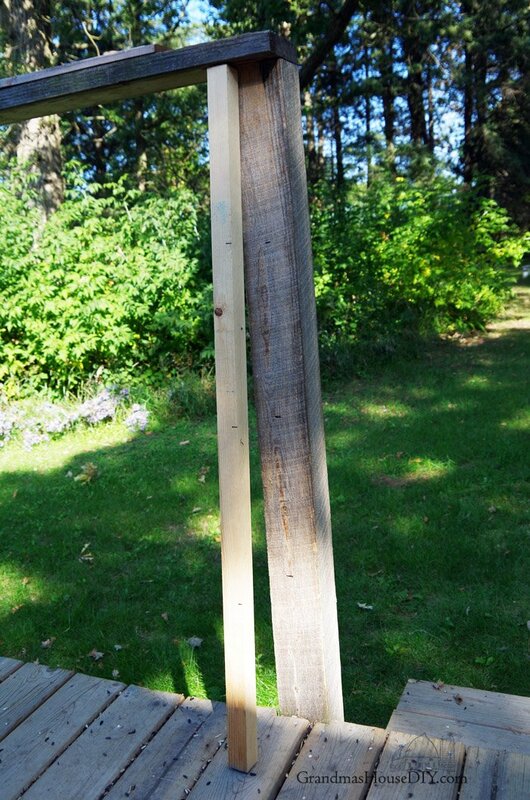 i was trying to get the boyfriend to diy this, but wasn’t too convincing. well done! These look really good, more solid and they don’t need to be restretched. 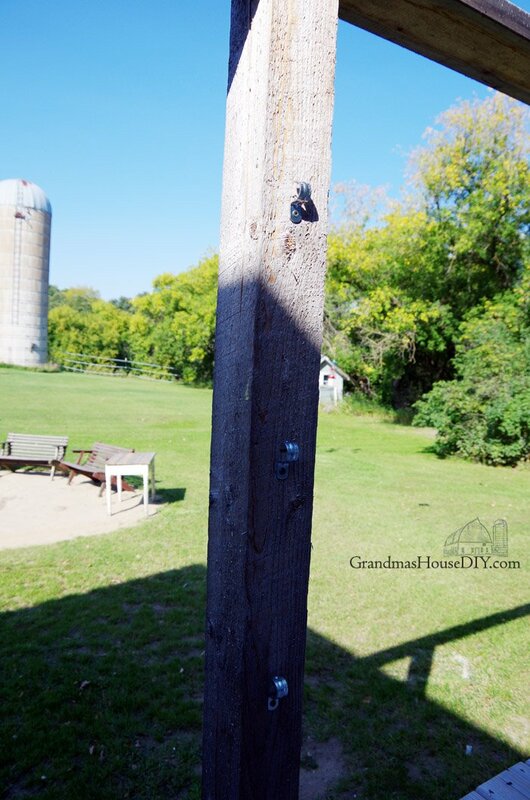 The wire ones don’t look sturdy enough for me and with the acreage privacy isn’t a concern, what a great solution. Thank you Leanna! I’m really relieved this project turned out! 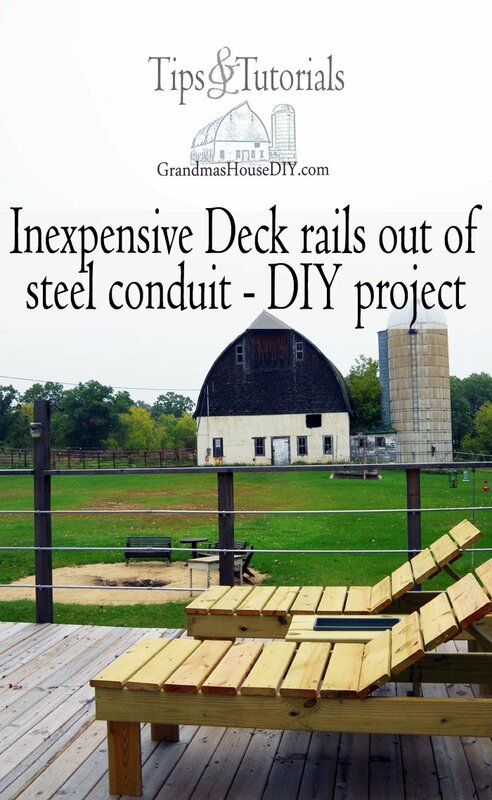 Wow- this is such an ingenious and seriously creative idea!!! 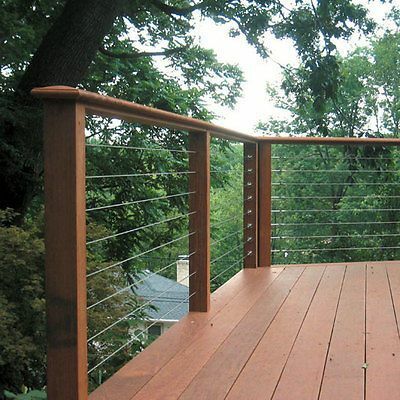 I am in love with this railing and definitely going to convince the hubs that we need to do this on our deck. 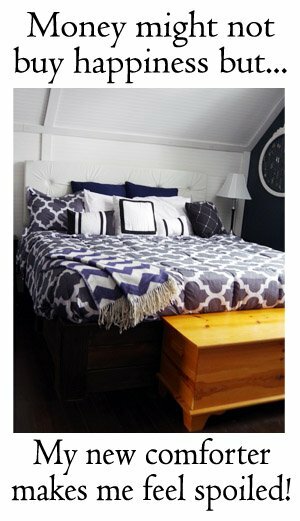 Hey Liz, I was so relieved when this turned out, it was so simply and inexpensive and now I just love it! I love you solution and how it lets you’re see that lovely view! Thanks for sharing with Party in Your PJs! 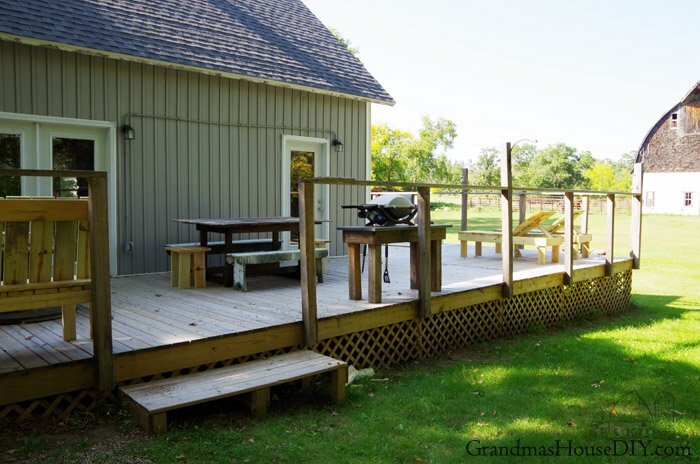 I love this look for your deck. 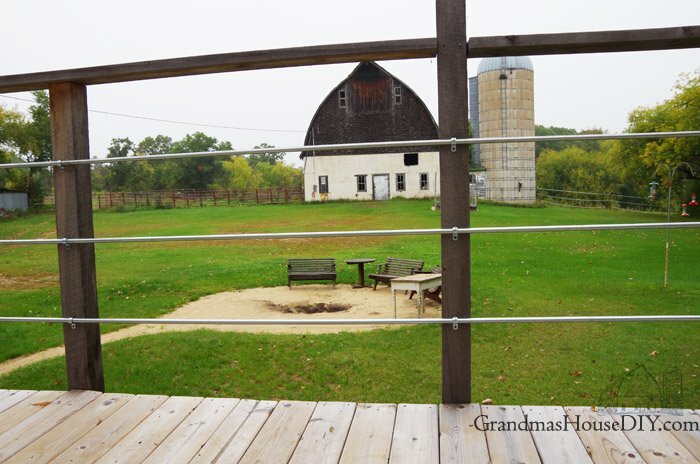 I think it ties in the view of the silo and the gates. 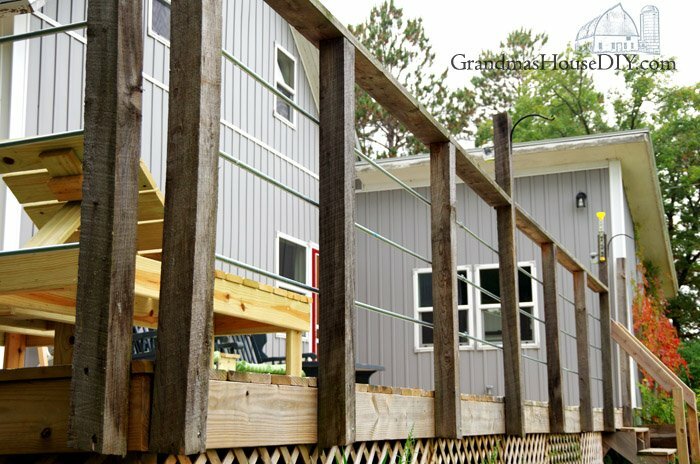 We have been complaining about our view being obstructed by those vertical wood “sticks” on our upper deck so I need to find a similar solution I think. Great idea. Thank you Nikki! I was really relieved that this turned out as well as it did, so far nothing but compliments from friends and family! 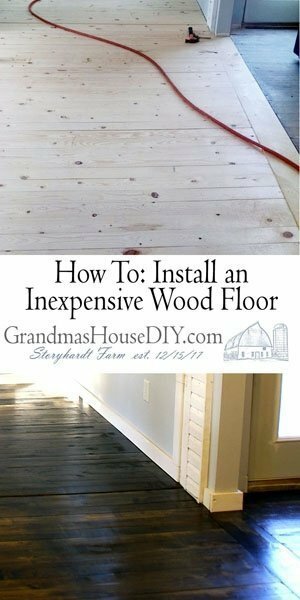 And it was so easy and inexpensive! I really love the look! Thanks for sharing the how to’s with SYC. This is really neat and it looks great. Thanks for sharing this with us. 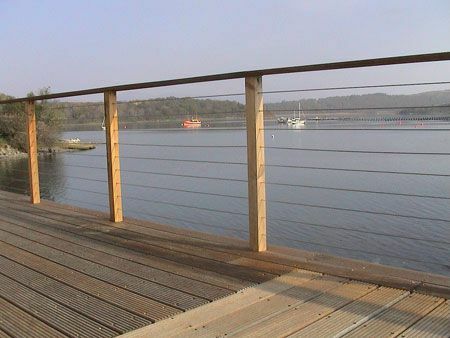 Yes, those steel wire railings are so expensive, but look amazing. This is definitely a creative option, too! Thanks so much for sharing at the #happynowlinkup! Thanks for coming by and commenting Leslie! This looks really a great project. Great Job 🙂 Thanks for sharing with us. 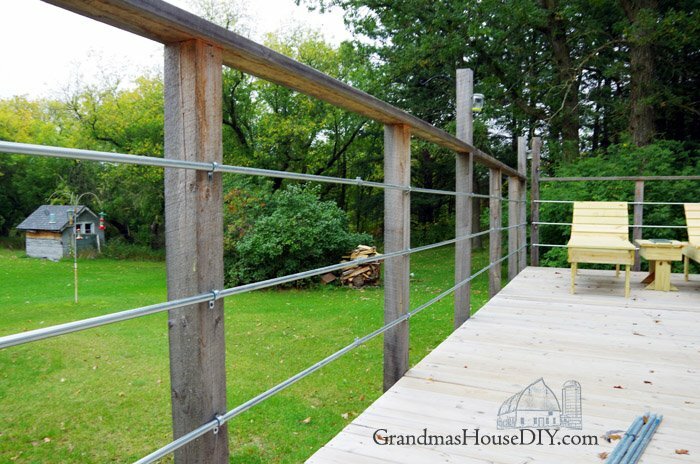 Your railing turned out great, love the idea of using metal conduit. Thank you Christine, have a great week! This looks absolutely beautiful. Will it rust over time? Do you need any type of protective coating? Thank you Alice! 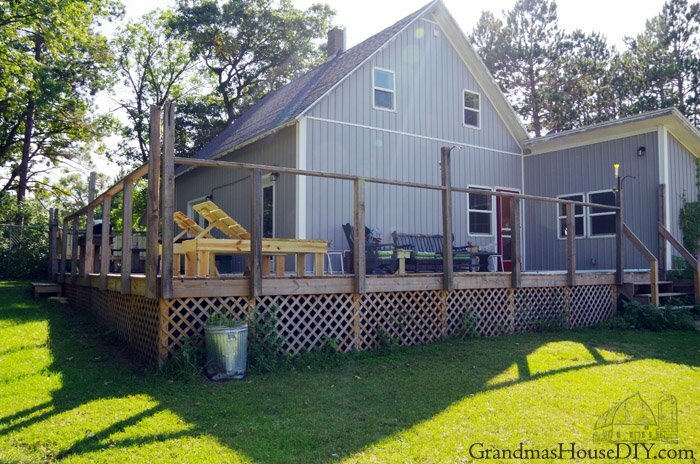 I do expect them to rust over time and I kinda felt that would be ok with my look on the deck anyway. But they could certainly be painted in a rust proof paint like rustoleum! Where did you buy the couplings?